Nifty Futures 10 day autocorrelation turned negative for the last two days also the smooth oscillator holding near oversold zone which indicates possible mean reversion trades in nifty futures with high probability. Also looks like William VIX FIX is reversing from the peak. So very short term players can play all the long signals in the lower timeframe. And higher timeframe players can hold their longs as long the 10 day autocorrelation turns positive or the William fix started raising on the EOD charts. 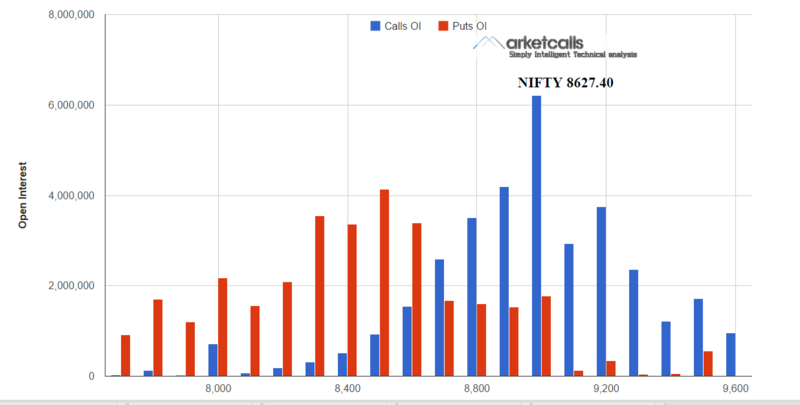 Currently 9000CE holds the highest open interest and on the put side 8500PE holds the higher open interest among the put strike price and comparatively weaker than the 9000CE open interest but still if you are holding longs its good the watch the development of open interest in 8500PE and 8600PE. excellent analysis with a perfect timing. stopped but i started slowly recovering my money back . to these alert the Robo skips the trades. (Amibroker & Formula AFL’s ). I will be grateful to you if You can send the Supertrend V3 AFL without pop up alerts. a link of Super Trend V3 without Pop Up Alerts. Autocorrelation turn positive. Time to Exit Mean Reversion Trade.